The June 30 grand opening of Toy Story Land is almost here! Over the past few months, we’ve shared some amazing photos and videos of Toy Story Land, and today’s video – a daytime aerial flyover of the new land – just may be our best yet. As we’ve previously shared, Toy Story Land will give guests a “toy’s-eye-view” of Andy’s backyard, and allow them to join in on the fun that Woody, Jessie, Buzz, and Andy’s other beloved toys are having. Here, guests can ride Slinky Dog Dash, a roller coaster Andy has assembled from his Mega Coaster Play Kit, take a spin on Alien Swirling Saucers, walk through a new carnival game box to experience Toy Story Mania!, grab a tasty snack at Woody’s Lunchbox – and meet some of the characters from “Toy Story” films! 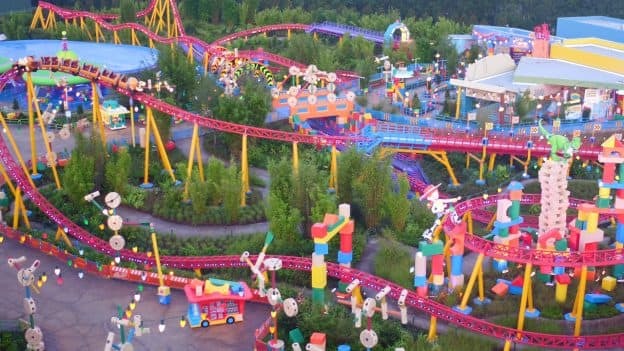 In the video above, you see a different view of Slinky Dog Dash that shows the width and scope of the coaster, as friendly little Slinky appears and glides around the track. You can also see a new view of the Alien Swirling Saucers Building. What toys can you make out from this bird’s-eye view? 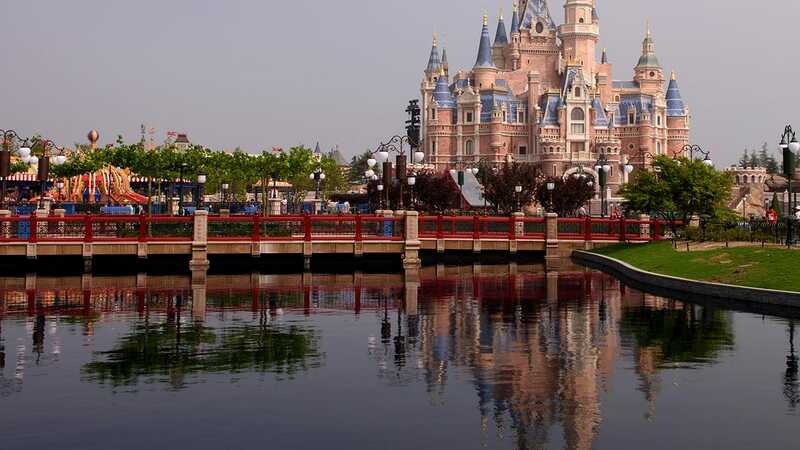 Don’t forget to join us right here on June 29 for a #DisneyParksLIVE stream of the land’s dedication ceremony. Details on how you can tune in from your desktop or mobile device here. For more video from inside Toy Story Land, check out the list of related posts below. Honestly, I had no idea the Slinky Dog Dash roller coaster was that big and long! So excited to visit this park. We will be watching from Vancouver Washington! Looking forward to seeing the Green Army Men!